Push Video support to send an event notification to your iPhone and Android phones immediately once the specified event type is triggered, and play video recording once you confirm the receipt. 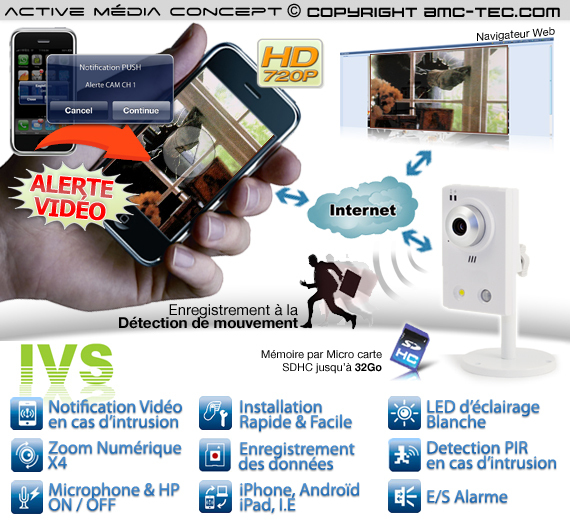 Latest technological advances in video surveillance, Active Media Concept presents the IP Color Camera HDTV, you will be amazed at the results of this IP camera both in terms of video quality, but also functionality. Accessible on iPhone, iPad or phone type smartphone, for Internet access as well. Handling, installation and configuration is elementary and accessible to all, its role is to ensure supervision of a video where you want to secure. 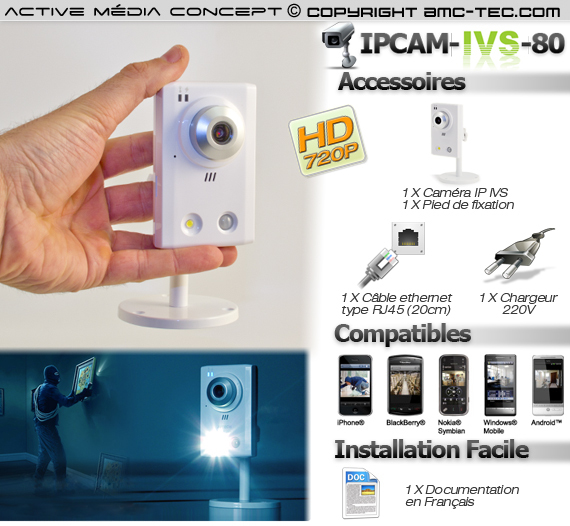 Our IP camera is designed for both individuals and professional customers. 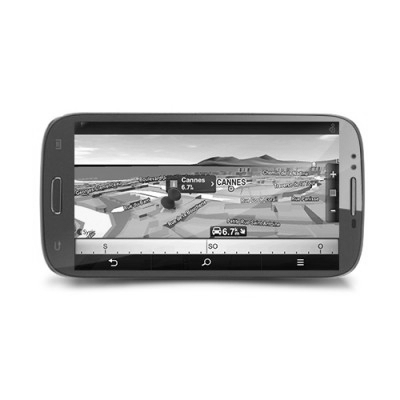 You will be informed in real time of an event in this area as a supplement revolution, the WARNING VIDEO PUCH in 5 seconds on your phone that offers our IP camera is an amazing flow and you will be pleasantly surprised at the ease of use of our video system protection (this function is unique). 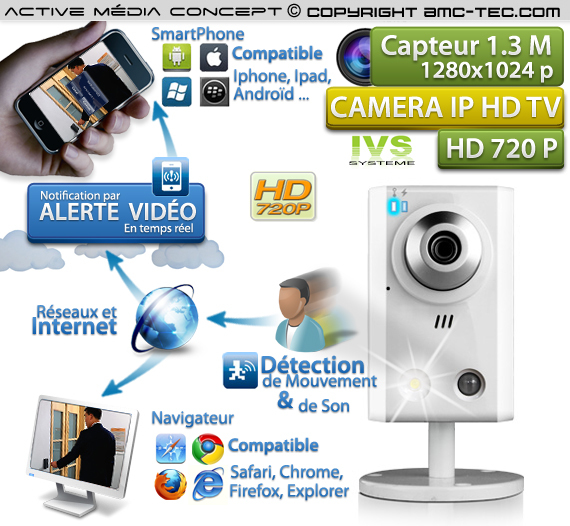 Examples of uses or the camera can be installed IP HDTV, monitoring in / out of your house or your garage, intrusion alert day and night in real time, site supervision, office, store or warehouse with the possibility voice to deter the thief, babysitting, real-time surveillance audio / Video and many other uses. 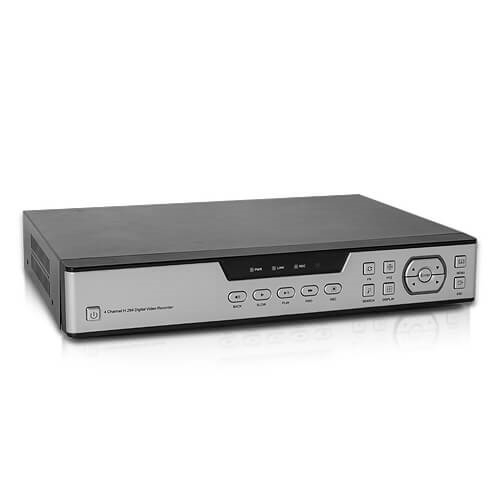 The strength of our IP camera is HDTV resolution 1280X1024 pixels and H264 compression mode that gives you a clear video image, as the transmission speed is 5 times higher and the result is better image quality real time. 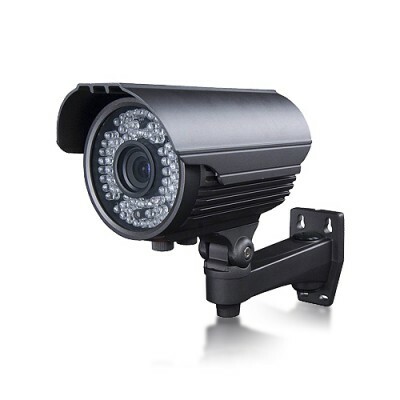 The HD IP camera is equipped with a sensor of 1.3 Meagapixels an angle of 75 ° for a Minimum illumination 0.1 LUX color, 0 Lux with LED white. The white LED lighting which can be remotely controlled is a power of 1 Watt for lighting a total of 10 meters, integrated white LED lighting which can be controlled manually or automatically on a schedule, or triggered by a event such as motion detection, detection of sound, or receiving an external alarm signal. 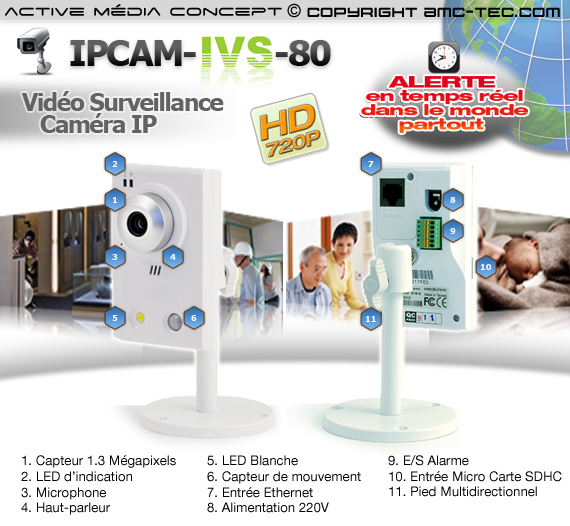 Two ways to trigger the alarm Pusch video motion detection by using the PIR sensor (human presence detector) Wide angle of 76 °, Long distance of 6m, 2m height but also by the sound (audio detection). 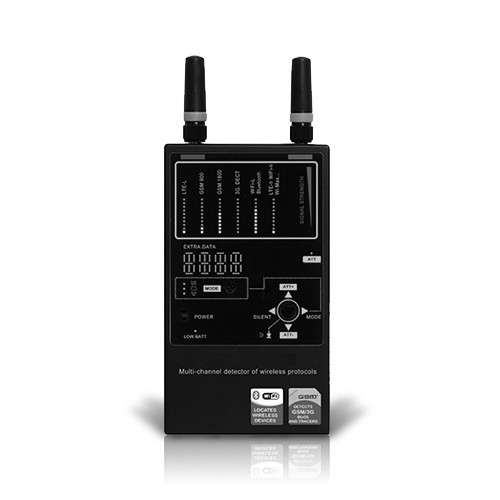 Truly autonomous video surveillance server, you can connect 10 phones, iPad, in simultaneous connections. 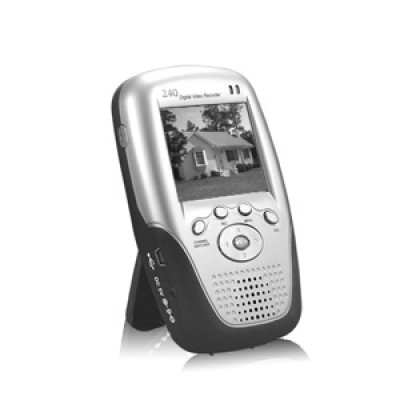 Access also to all the historical events in the form of file date and time, all records are stored in the Micro SDHC card in the IP camera. 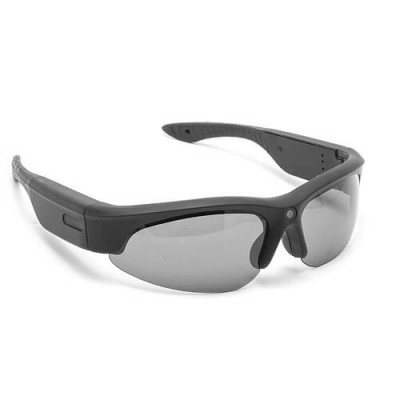 Equipped with a microphone and speaker audio bi-directional, you can listen or respond by voice to warn intruders. 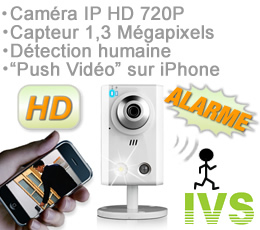 On Location: an intrusion, a door opens, a sensitive area in violation of a deposit, once a person enters a secure area in our IP camera with human detection PIR sensor is instant, you get the second one PUCH alert notification VIDEO on your mobile phone informing you with a series of beeps the camera that triggered the alert, the date and time with the immediate choice to view the video in real time (Our IP Camera HDTV currently the only product to use the Video Puch, is making it exclusive).